"Staff was very professional, attentive, welcoming, friendly." Have a question for Phachara Suites Sukhumvit? "Pros: Very clean and spacious hotel." 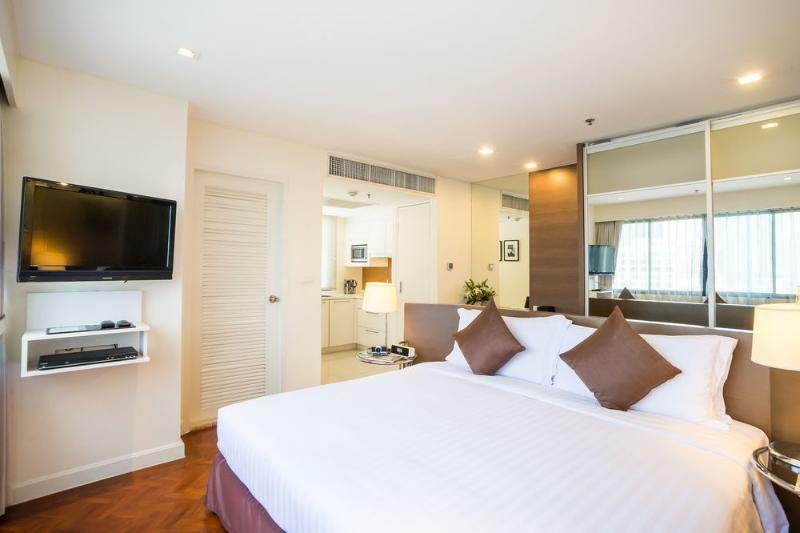 "Will sure recommend this service hotel to my friends"
For a stay that is all about luxury and relaxation, opt for the Phachara Suites Sukhumvit for your Bangkok holiday. Rated 4.5 stars, this hotel is great for experiencing a truly lavish vacation. It offers numerous facilities for guests to take advantage of throughout their stay, such as a fitness center, a sauna, an outdoor swimming pool, a garden, and a spa. The Phachara Suites Sukhumvit offers city views, giving you a glimpse of the glistening city lights. It has several convenient features, such as safety deposit boxes, a laundromat, a salon, and a shrine. All of the rooms come with air conditioning, a shower, an alarm clock, and an ipod docking station. They also have slippers, bathrobes, ironing facilities, a closet, and more. This hotel is equipped with a dryer and a hair dryer, so you will have everything you want to make your time here more comfortable. It is near R and R Apparel International, Nana Fashions, Hi-Mark Tailor, Paul Bespoke, and New Armani. 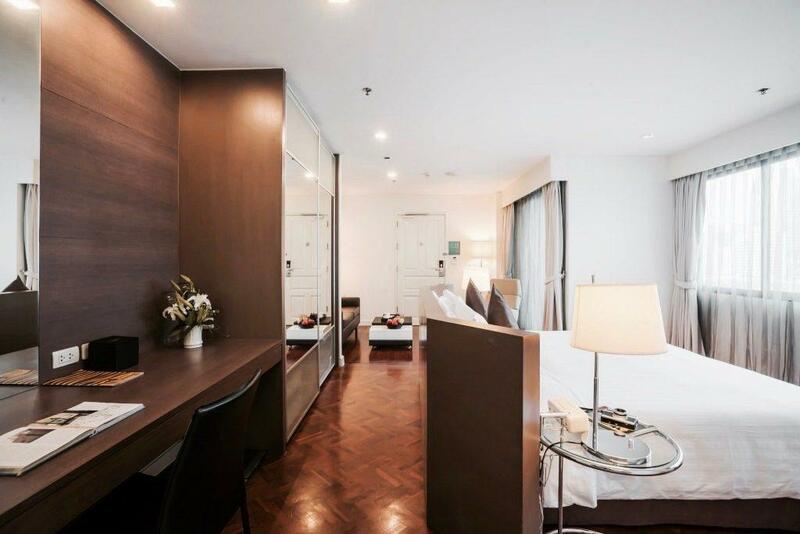 With tours available, the Phachara Suites Sukhumvit is a great place to stay to learn about your surroundings and see everything you can while you're here. Massages are available, so if you want to spend the day simply relaxing and unwinding, you can treat yourself like royalty. 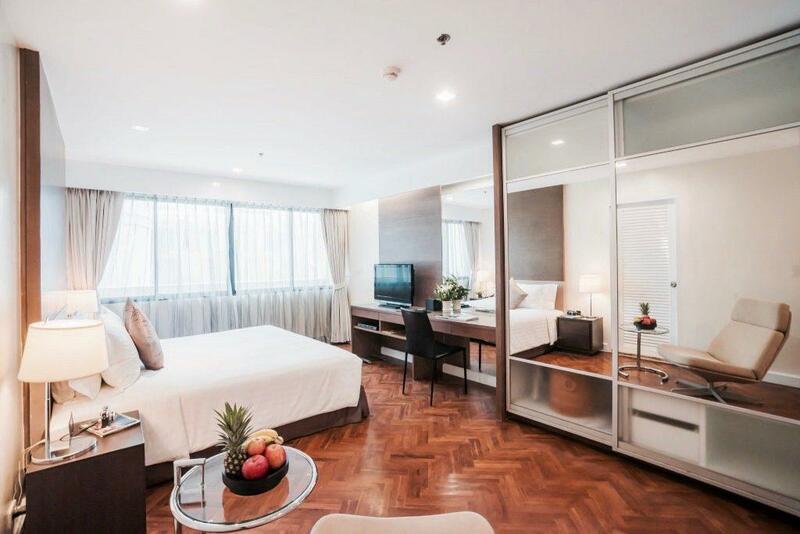 The Phachara Suites Sukhumvit provides an assortment of transport options, such as airport transfers, shuttle services, and car rentals. 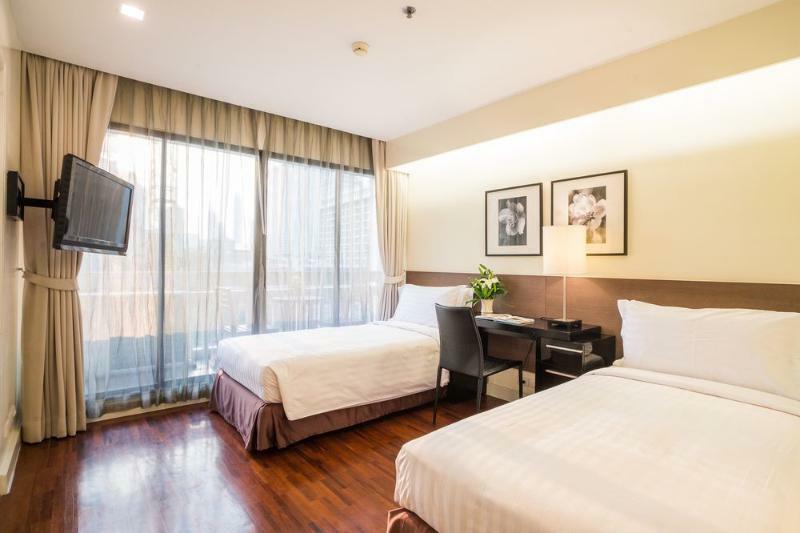 This hotel offers a number of convenient services, which include dry cleaning services, a concierge, daily housekeeping, and a babysitting service. From a bar to restaurants on-site, it has a range of dining and snacking options for you to enjoy. With Thai, American, and Asian restaurants nearby, it is located in a great area for those who want to enjoy delicious cuisines when eating out. Have a delicious meal at Metal Shabu, Baan Thai Suk 16, Khao, Leapfrog Restaurant and Bar, The Tavern or other local eateries. 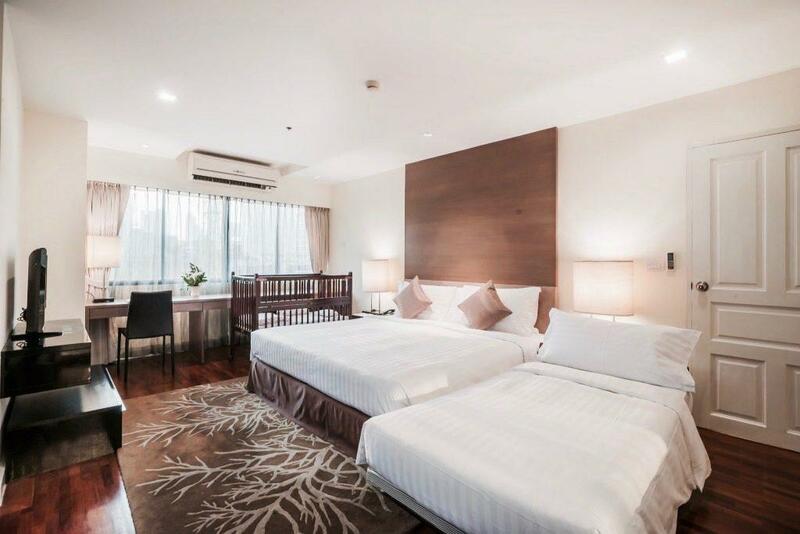 With pet-friendly facilities, the Phachara Suites Sukhumvit is perfect for visitors with guide dogs or anyone who wants to bring their pet with them. This Bangkok hotel offers check-in from 02:00 PM and check-out until 12:00 PM. It provides around-the-clock front desk services, ensuring that there is always someone on call to answer any questions at all hours of the day or night. 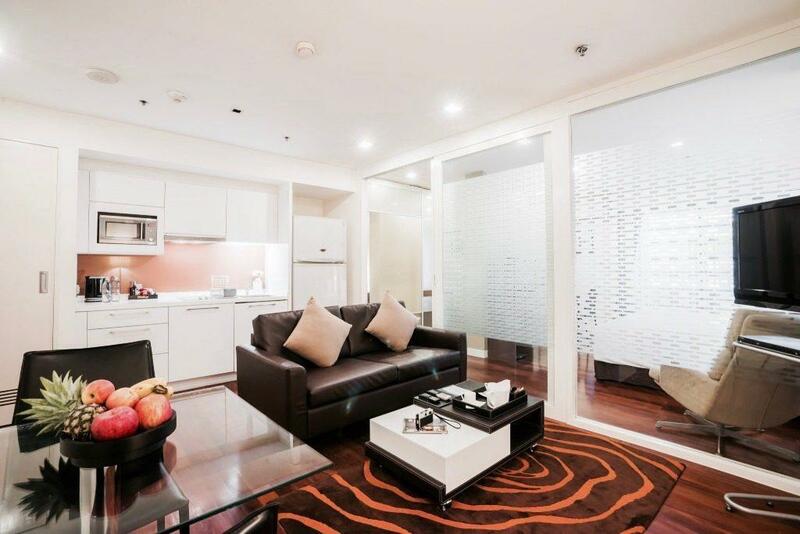 The Phachara Suites Sukhumvit provides free Wi-Fi in all rooms, as well as Wi-Fi in common areas for added convenience. It offers family rooms, so your family has adequate space to be together. "Excellent room, great shower, washing dryer machine and comf..."
Please note that there is an additional breakfast charge at THB 125 for child at the age of 6 – 10 who sharing bed with parents. The property requires a refundable security deposit of THB 1000 upon check-in. They gave me a studio executive on check in when I paid for a one bedroom executive, I returned to reception and it was fixed in good time , check out was a painful wait but staff were apologetic, this really needs fixing . Above all that the room was nice , bed was so comfortable, good view from balcony and good amenities all round , a little overpriced in my opinion however I would stay again if I was in the area . Overall I was comfortable with the room . First of all. I've stayed at this hotel 3 times previously and actually weren't happy but wanted to give them another chance. I regret it today. Booked 1 bedroom suite with balcony through Agoda. When we arrived after a long journey we were allocated a small room with no balcony. The front desk was unhelpful to help us or contact Agoda.com to resolve the issue. It ended up having to contact Agoda myself. After two hours we got a new room which was bigger but without a balcony. We had to contact Agoda again because front desk was little solution-oriented. Finally after many calls and mail, Agoda contacted the hotel and we got the right room. The service at the hotel is extremely poor. Room cleanliness was poor. Sometimes they came early and other times late in the afternoon to clean. The cleaning staff look like angry and not serviceminded. This is the last time I stay at this hotel. bad service, old hotel. Stay away! 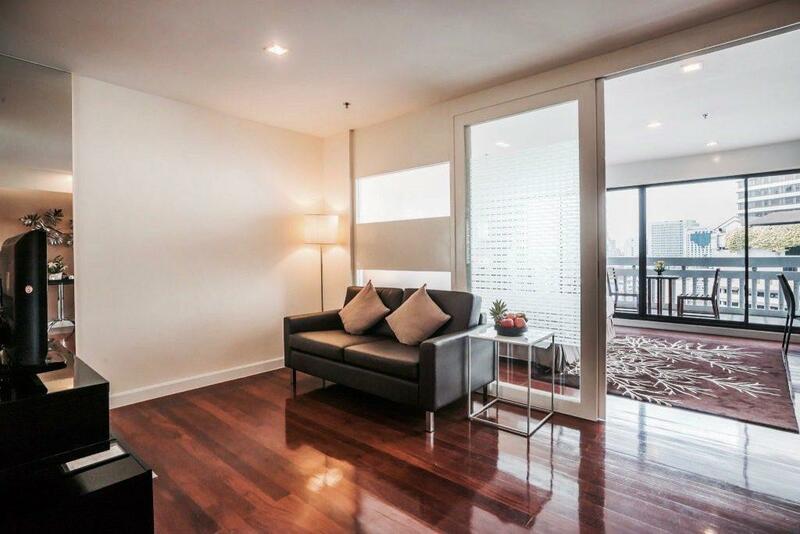 Good location, spacious room, nice staff, all in all excelle... But have to pay for everyday a deposit from 1.000,- Baht! 6.000,-Baht for 6 days. Why??? It’s an old building but with some renovation touched up. Consider ok, just the room that I stayed has no hot water, after called their technician came to repair, the condition was slightly better, but still the hot water’s temperature still not hot enough. i stayed already many times in this hotel and i still like it. For people who wanna stay near Nana it‘s a great hotel. Nana Station is not far away und you have many restaurants outside. The rooms are big and modern. Price and value are great. Was in BKK for dental work about 2 blocks from BTS Nana station. Didn't want to stay to close to all that is "Nana" but this building is set back a bit from Sukhumvit and Nana Plaza. Its still a bit noisy and hardly brand new but its not a brand new condo near Ekamai with the corresponding price tag either. Staff was very professional, attentive, welcoming, friendly. Honestly, I don't really remember what I paid. When that occurs, I'm quite confident I got great value for the money - rated accordingly. Across the street is a nice restaurant, a 7-Eleven and plenty of transportation. I'd probably stay again if accommodations were needed near that locale. Great location, a bit pricey, good rooms, if you need breakfast go elsewhere as it is very basic, everything is empty, the rgg station is outside so you have to go through foyer and out into the driveway to get them. And breakfast very expensive. Try the all you can eat on other side of road. Overall i hv experience a pleasant stay. Housekeeping was good and the location is near to BTS sky train. The only negative side was the high amount of Deposit needed( 2000 baht ). Another thing was the Hotel charge 60 baht for using the laundry bag. In many countries that i had travelled this was the first hotel that charged me for a laundry bag which they provide in their hotel. Very convenient location in terms of access to transportation, food and pubs. Registration staff seemed to have been overwhelmed by fast talking southteast Asian youths speaking funny English and drinking whiskey out of the bottle at the lobby, but they did their best to serve. My room was very spacious, quiet and adequate. The shortcomings were shower curtain not wide enough to stop water from wetting outside bathtub area. And, worst of all, I found oilly spots on one side of the bed; so, I tried to sleep at the other side, but the comforter cover on the other side had stains. They were apologetic and quick to chang out the sheets but this should not have happened at the first place. I've stayed at this location a few times now. Very nice staff. The location is very close to the Nana BTS stop. It's also walking distance to Bumrungrad Hospital but they also have a shuttle from the hospital that drops off at the Nana station. Nice pool. Spotless rooms and suites that are well equipped with laundry facilities, kitchenette, sitting area, TV, table, etc. Good value for your money. Decent spread for breakfast to meet the varying types of breakfast foods different cultures expect.